Christy is a 5th year Ph.D. student. Her research interests include the impact of diversity training on work-related outcomes, the experience of underrepresented employees (e.g., disability (invisible and visible), ethnicity, gender, sexual orientation, veteran-status, pregnancy, obesity) at work and during selection, the psychological construct of inclusion/valuing diversity, and the impact of discrimination on pre- and post-hire outcomes. Carlos is a fourth year Ph.D. student in Industrial Organizational Psychology and entrepreneur at Rice University. His primary research focuses on issues regarding diversity and discrimination in the workforce. His earlier work examines the experiences of minority job applicants during the selection process. In addition, he examines cross-cultural topics regarding negotiation and helping behaviors. Carlos is also currently working with two others to launch a consulting practice, focused on providing affordable evaluation and intervention designs for local small businesses in Houston. Abby is a third-year Ph.D. student in the Industrial/Organizational Psychology program at Rice University. Broadly, she studies diversity and discrimination in the workplace, in contexts ranging from social interactions to the hiring process, with the intention of contributing to research that will inform organizational policies and practices as related to successfully managing diversity. Specifically, she is am interested in the experiences and perceptions of stigmatized groups in terms of gender, race, sexual orientation, age, religion, culture, and other identities. Outside of research, Abby enjoys running, live music, traveling, and spending time with family and friends. ​​Kristina is a Senior Psychology and Policy Studies major, with a Biochemistry minor. Kristina works with Dr. Hebl investigating discrimination facing Hispanic individuals in health care settings. Specifically, her current project highlights subtle bias against Latino patients in clinical situations. Her future research interests include discrimination, health disparities, and social determinants of health. Outside of the lab, Kristina serves on college government and races as the President of the Rice Sailing Team. Colleen is a Senior Psychology major and Neuroscience minor at Rice University. Colleen has worked with Dr. Mikki Hebl as a Research Assistant since May of 2016, and as the Undergraduate Lab Manager for the lab since August of 2016. 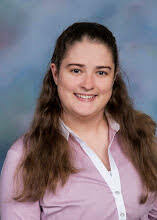 Colleen is most interested in Clinical Psychology, especially anxiety and development of psychopathology. Her current research, a senior honors thesis, focuses on help-seeking behaviors in college students with anxiety symptoms. Specifically, she is investigating how brief interventions can improve help-seeking behaviors. Colleen also shadows clinicians at The Menninger Clinic Outpatient Services of Bellaire—The Menninger Clinic’s first satellite outpatient location, previously The Weinberger Clinic, PLLC. In addition, Colleen is a Pure Barre instructor at a local Pure Barre fitness studio in Rice Village. ​Anamely is currently a Senior Psychology major working with Dr. Hebl to investigate discrimination in today’s political and social context. Her Honors Thesis focuses on one’s public condoning or condemning of discrimination on another person’s stated attitudes towards three stereotyped groups: Blacks, Hispanics, and Muslims. In the future, she would like to investigate when and how stereotypes drive self-concept and performance in academic and professional settings. She hopes that her research contributes to positive change that reduces discrimination and promotes equal opportunities for disadvantaged groups. Courtney is a Senior Psychology and Sociology double major, with a minor in Poverty, Justice and Human Capabilities at Rice University. She works with Dr. Mikki Hebl studying diversity and discrimination in medical, workplace, and educational settings. Specifically, Courtney is interested in topics surrounding racial/ethnic disparities, gender, and individuals with disabilities. Courtney's current work, a senior honor's thesis, examines the effects of regional accents in the United States on hiring outcomes and salary negotiations.